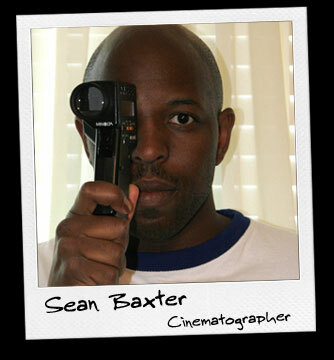 Sean Baxter, born to a Caribbean family and raised in the inner city of Bronx, New York, has been involved with productions in a dozen countries, spanning four continents. A Director, Cinematographer, Writer and Producer, Sean draws from a vast resource of cultural experiences and creative talents. Lights! The greatest master of light is the Creator of the universe. It is imperative to find the balance between light and shadows to bring out the subtleties of the subject matter. Shading is as important as lighting, shaping the light is as important as intensity. Camera! Every lens is a different writing instrument, and the movement of the camera is like the stroke of an artist’s brush. Action! Having studied dance and understanding choreography, all the elements of a scene must have a dancer’s flow. Sean’s most recent projects includes photographing Algeny an independent feature length film directed by Andrew Burroughs.